This volume contains three of Jan van Ruysbroeck's best works: The Adornment of the Spiritual Marriage, The Sparkling Stone, and The Book of Truth. These works are remarkable for their combination of lofty spiritual philosophy and robust common sense. As we read them, we feel that we are in touch with a man who, in his ecstatic ascents to God, never loses hold of the actualities of human life. In the Adornment of the Spiritual Marriage, he traces the gradual development of the soul through the active life of Christian virtue, the interior life of contemplation, and the superessential life of union with God. 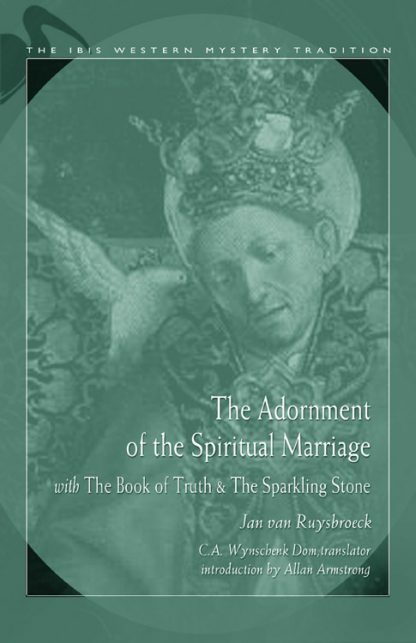 The Sparkling Stone further elaborates on some of the more difficult passages in The Adornment, and The Book of Truth was written as a refutation of the accusation that van Ruysbroeck's work supported a pantheistic and heretical view of the union of the soul with God. Primarily influenced by St. Paul and St. Augustine, van Ruysbroeck was driven to speak out on the mystical life in reaction to the rising of heretical sects in the lowlands of Belgium that were preaching a quietism of - the most soul-destroying kind - � early in the 14th century. The singular feature of Ruysbroeck's teaching is achieving a balanced career of action and contemplation as the ideal of the Christian soul.